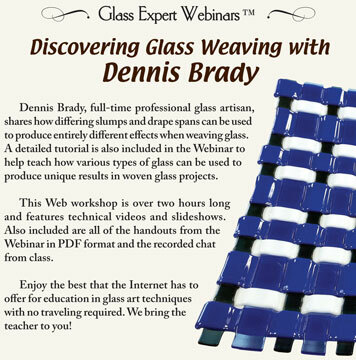 In case you've always wanted to learn how to weave glass, here's your chance! 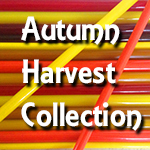 Glass artisan Dennis Brady will show you how glass strips can be arranged to create myriad different effects. You'll learn how the distance between spans affects the end result and how the diameter of the strips and color patterns willopen up a whole new range of artistic expression. 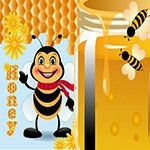 This is a DATA DVD to be played in your computer. It includes all of the movies and slide shows included in the original webinar, as well as the chat questions from the audience and his live answers. You'll benefit from their thoughts and his insights. A terrific way to learn!